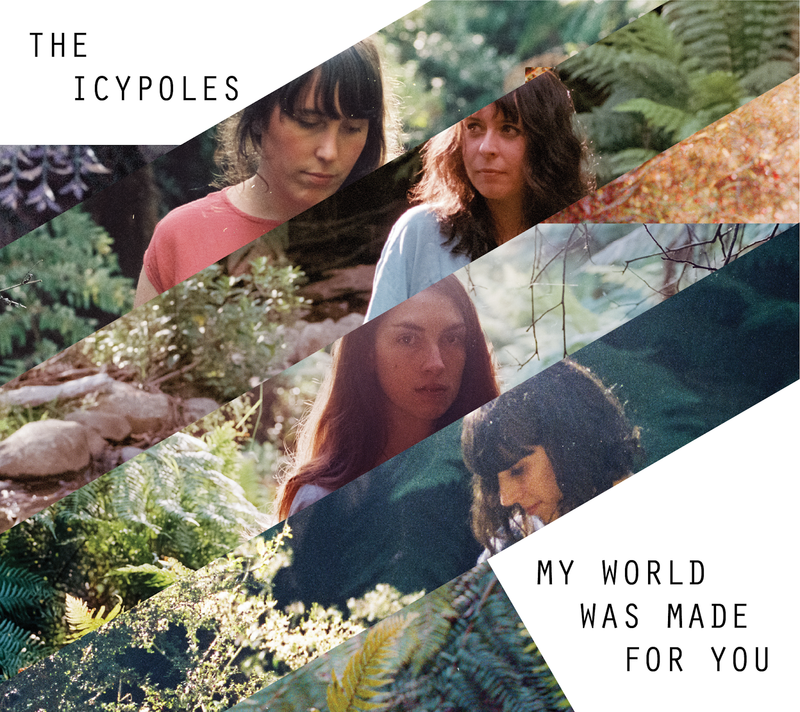 THE ICYPOLES ALBUM 'MY WORLD WAS MADE FOR YOU' RELEASED TODAY! Lil' Chief is pleased to announce the release of The Icypoles debut album. The Icypoles are the most recent addition to our roster our first Australian signing. They say timing is very key in this industry so it was possibly another brilliant decision by the chief to release this smack bang in the middle of NZ music month. Go Team NZ! Grab a copy of the album on Vinyl, CD, or digitally on bandcamp or iTunes. Lil' Chief Records presents The Icypoles! Its May NZ Music Month and Lil' Chief is happy to announce our first Australian signing The Icypoles with their debut 'My World Was Made For You' due out on Lil' Chief Friday 16 May. Having become a familiar fixture on Melbourne's inner north stages, and with two previous releases (2009's Getting Ready cassette and 2011's Promise to Stay 7" EP), The Iypoles' musical adventures can be traced back to the early '00's, with half the band finding their formative footing playing horns and trinkets in an early incarnation of Architecture in Helsinki. When The Brunettes were hangin' with The Architecture folk in the early naughties Big Chief' Dr Bre(e) was impressed by The Icypoles 'Shirelles meets K Records' vibes and offered to put out their album. 10 years later he finally got the call and the album has shaped up to be everything he'd hoped. You can pre-order the album on vinyl or cd here. In anticipation of this release Undertheradar has previewed the new music video by The Icypoles for their single Babies. The kaleidoscopic music video was made by band member Isobel Knowles underwater, using some fluff, lights and a fishtank. 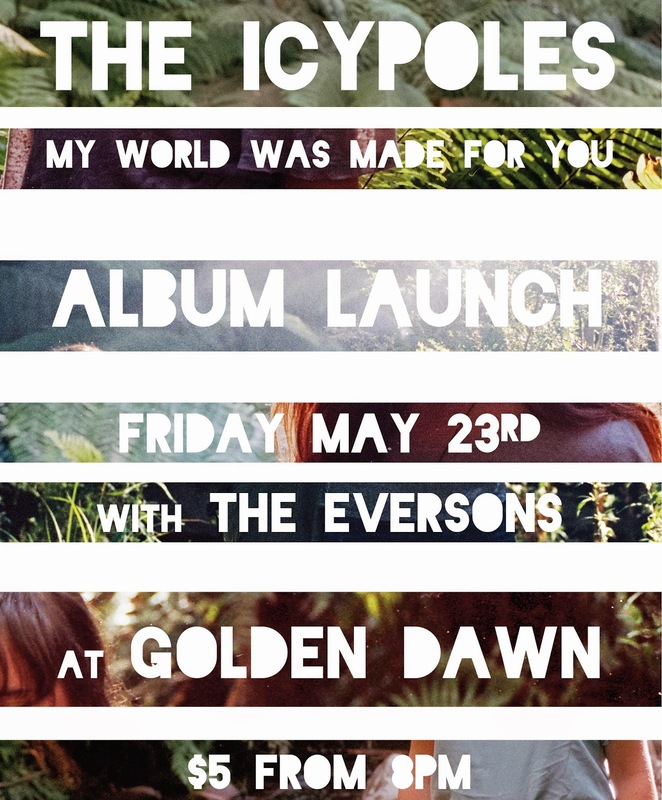 The Icypoles will be heading over to play support for Lawrence Arabia on his epic run of full album shows but will also be playing one special album release show at Golden Dawn on Friday May 23rd with the Eversons.